Broadband data solutions for businesses come in many different flavors in terms of the physical interface used to transport the data, the data speed available to you and of course the cost. In this section we explain the different types available to you today to help you determine the most optimum data package for your particular business needs. DSL service is a technology for bringing high-bandwidth broadband data service to Small Office, Home Offices (SOHO) and Small to Medium sized Businesses (SMB) over ordinary copper telephone lines. This technology is no different to the one used for residential service. For more information on this option take a look at our DSL guide for home users. With this technology Internet service is provided over the cable TV line to homes and small businesses. The technology is the same regardless if being used for home or business. You can review our Cable Explained for home users article to learn more. The T1 carrier has a bandwidth of 1.544Mbps in each direction. In other words you will get this full dedicated bandwidth in both your uplink and downlink directions. It is for this reason that it is often used for Data and VoIP traffic. VoIP traffic typically needs around 90Kbps per voice call so it is easy to see that this can be a good option for simultaneous calls. In Europe the equivalent transmission is known as E1. It is very similar except it can run at 2.048Mbps. One reason this option is popular is that it is usually leased from large Telecomm companies who build well defined Quality of Service (QoS) guarantees of minimal downtime into a Service Level Agreement (SLA). However, as you would expect, a premium is paid for this type of data service. We will now discuss some deeper dive material on the T1 line for those that may be interested in it. With a T1 there are two physical mediums. One is 100 Ohm shielded twisted pair and the other is 75 Ohm Coaxial cable. Typically inside patch panels the 100 Ohm twisted pair is used as it is cheap and flexible but for transmission to the outside world a balun is used to match to 75 Ohm Coaxial cable which is typically used to connect to the ISP or PBX. The bandwidth of a T1 is 1.544Mbits/sec that's for one direction, one of the advantages of a T1 is that you get this dedicated bandwidth in both the uplink and downlink directions. T1 uses a signal encoding called B8ZS which stands for Binary 8-zero Substitution - quite a mouthful. Without going into too much detail just now, this type of encoding allows data and a clock to be sent across the same cable, which is vital for synchronous data transfer. Finally the format. Each T1 is split into 24 channels referred to DS0's. Each channel is 8 bits wide and the frame is sent on a 8KHz boundary. The data capacity is therefore 24x8x8000 = 1.536Mbits/sec. Didn't we say earlier that a T1 was 1.544Mbits/sec? Well there is something called a framing bit, this is 1 bit every frame that a receiver on the other end can lock onto to ensure that whatever equipment is there can extract the correct DS0's in the correct order. This framing bit makes for an extra 8000 bits/sec giving a grand total of 1.544Mbits/sec. How did the 8KHz frame rate and the 8 bits per DS0 come about? Let's take the easy one first. Why 8 bits per DS0? For digital or Telecom engineers 8 or any multiple of 2 is a perfect number. It's very easy in digital logic to count in multiples of two thus it is very easy to extract these DS0's, generate the frequencies and clocks required to receive and transmit at these rates and multiplex these T1 streams into T3 streams or higher rates. The trickier question is how do we get our voice to be transferred from one point to another in only 8 bits every 125us (this is the equivalent time of an 8KHz frame rate). There is a theorem called Shannons theorem or sometimes referred to as Nyquist-Shannons theorem that drives the fundamental basics of all digital communications. First remember that T1's were invented long before the advent of the Internet or VoIP and they were designed with the specific goal of transferring voice in a digital format. The result of Shannons theorem is that to sample an analog signal (your voice in this case), convert it to a digital format and then reconstitute it as an analog signal (your voice at the other end) that has lost no or little information (the person you are talking to can understand you) the original analog signal must be sampled at a rate of at least twice the highest frequency you want to transmit. The typical human voice has a frequency range of about 50Hz to 3500Hz. So if you want to sample that voice and digitize it you have to sample it at a rate of at least 7000Hz. As in all good designs there has to be some design margin, often referred to as a guard band in communication theory, a rate of 8000Hz was chosen. The frame rate of 8KHz became the standard. Figure 1 should help bring together the information just discussed. There are also a few variations that you may come across. Fractional T1 is, as you would expect, a fraction of a full line and is charged at a lower rate. A T1 can be thought of as 24 unique timeslots so when you lease a full line, you have the ability to use all 24 timeslots (also referred to as DS0s). A fractional T1 gives you access to a specific number of DS0s. The most common rates are 256Kbps and 384Kbps (see Figure 2). The speed may be less than DSL or Cable options but the QoS is in place which can be important to some businesses. Frame Relay is another form and uses a packet switched protocol to transfer data across Local Area Networks (LAN) and Wide Area Networks (WAN). Instead of being allocated a fixed amount of bandwidth, Frame-Relay services offer a CIR (Committed Information Rate) at which data is transmitted, in other words an absolute minimum connection speed. Point-to-point offers the best QoS for transmission over a T1. The SLA guarantees maximum throughput at all times and is typically leased by companies who transfer a lot of private files or for corporate Virtual Private Networks (VPN) and WANs. One final point to note is that if you need additional bandwidth you simply add more T1 leased lines. Likewise, if you decide to add VoIP you can add another line and all of your packetized voice traffic can be delivered over it. A T3 line is equivalent to 28 T1 lines (see above) at a speed of 45Mbps. Typically you would see large businesses, universities and web hosting companies lease a T3 line due to the large amount of users requiring access to the Internet and Wide Area Networks (WAN). The physical medium for a T3 line tends to be fiber-optic cable. Note that T3 lines are high enough speed that it is feasible to pass full screen, full motion video over this interface. A T3 line can also be sub-divided and is known as fractional-T3. Basically one would lease a fraction of the 45Mbps bandwidth available at a lower cost. Optical Carrier level 1 (OC-1) is the designation for a Synchronous Optical Network (SONET) with transmission rates of 51.84 Mbps, using fiber optics as the transmission medium. However the most typical SONET rates found in optical networks today are OC-3 (155Mbps), OC-12 (622Mbps) and OC-48 (2.5Gbps). OC-48 will often be used as the long-haul backbone for Internet traffic containing everything from regular data and VoIP to streaming video. Ethernet (IEEE Standard 802.3) tends to be the protocol of choice for LANs inside a business, using twisted pair cables to connect computers in a workplace to the local network and to the Internet. These interfaces usually run at either 10Mbps or 100Mbps (referred to as Fast Ethernet). However fairly recently there has been a push for what is referred to as Metropolitan Area Networks (MAN) which provides carrier-class Ethernet between a business and the Internet Service Provider (ISP) over Ethernet. The interface speed for such interfaces is usually one Gigabit (1000Mbps) hence the term Gigabit Ethernet. A point of demarcation is required between the ISP and end user in order to provide end-to-end Service Level Agreements (SLA). This broadband data connection is becoming very popular for businesses in metropolitan areas. Integrated Services Digital Network (ISDN) is a technology that is offered by most telephone carriers. It combines voice and digital traffic in a single medium making it possible to offer customers digital data services as well as voice connections through a single "wire" (copper pair) running at a speed of up to 128Kbps. At one time this was very popular for SMBs but with DSL, Cable and T1 services offering higher speeds for voice and data traffic ISDN popularity has been steadily declining over recent years. Satellite is included here as it is an option for Internet access. However, most businesses would not consider this option unless their location meant that other technologies were not available. We covered this topic in detail in our Satellite guide for home users. A word of caution on Satellite solutions. If you plan to pass voice over this type of medium you are likely to be very disappointed. The latencies involved are such that the delay in your speech will be very apparent! For more information you can read our article on VoIP over Satellite. Several companies have been working hard the last decade to lay the framework for a new type of Internet - one based on fiber optics rather than broadband cable. This new technology allows for much faster, and consistent, speeds delivered directly to the home or office. Google, Century Link, Cox, AT&T and a wealth of regional telecom providers all stand poised to capitalize on America's demand for faster Internet by offering true Gigabit per second speeds (1000 Mbits per second). At WhichVoIP we understand the importance of bandwidth speeds and were surprised to see a lack of coverage on the topic of Gigabit Internet. Accordingly, we've gone ahead and created what we believe is the first comprehensive maps of where in America Gigabit Internet is currently, or nearly, available (see Figure 3 below). We've gone ahead and also included pricing for each major network, so you can determine yourself just who might be best poised to win the race for Gigabit Internet. What is an IP packet? In this article we have discussed some of the different high speed options for businesses. Regardless of the service chosen, each one is used to send IP packets across the Internet. For this reason we felt it may be of interest to some readers to give a deeper dive on IP packets and what they actually comprise of. An IP packet is simply a the data you want transferred encapsulated in a frame or packet. The packet is typically broken up into smaller chunks to be transmitted over a T1 line. It's kind of like writing a letter, you could take one line at a time and mail it in separate envelopes, if you lose one envelope then no big deal you could probably understand the message or at least decipher it after you received the rest. 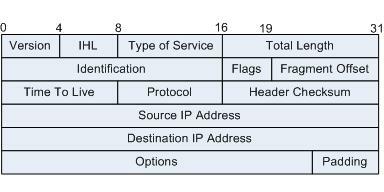 The IP packet can be a rather complex entity with header information such as IP address sent from, destination IP address, header checksums, Identification field, protocol used and many others. Below is pictorial view of a packet. The data itself may also have sending and destination addresses, checksums, flags, etc so deciphering a packet can be like peeling an onion, revealing layer after layer. In Figure 4 you can see what a packet is made up of, with descriptions below. Version - static 4 bit value indicating which version of IP is being used. IHL IP Header Length - 4 bit value indicating the number of 32-bit words that make up the header. Type of Service - 8 bit value that is used tell the network how to treat the IP packet. These bits are generally used to indicate the Quality of Service (QoS) for the IP Packet. 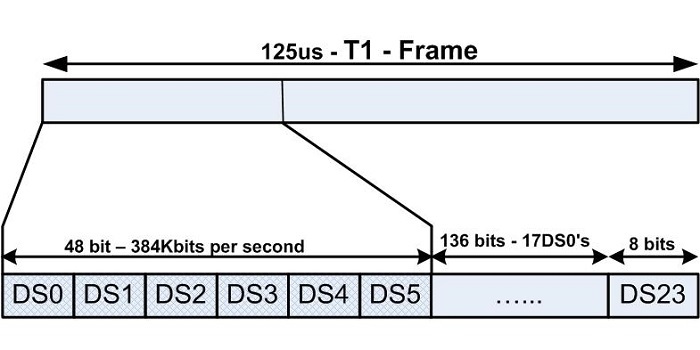 Packet Length - 16 bit value indicating the size of the IP Packet in terms of bytes. This gives a maximum packet size of 65536 bytes. 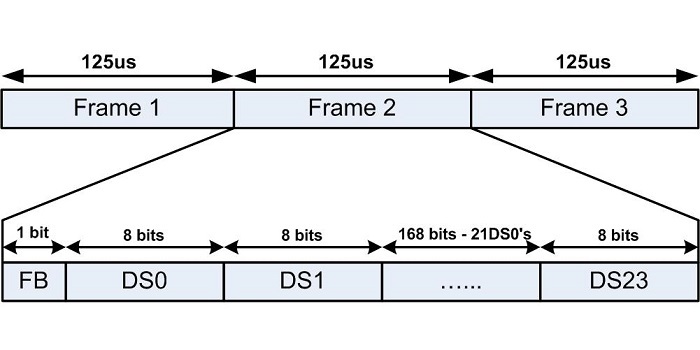 Identification - 16 bit field used for reassembling the packet at the destination. Flags - 3 bits indicating to network equipment if the IP packet can be further fragmented or not and if the packet is the last fragment or not of a larger transfer. Fragment offset - 13 bit value used in the reassembly process at the destination. Time to Live - 8 bit value telling the network how long an IP packet can exist in a network before it is destroyed. Protocol - 8 bit value used to indicate the type of protocol being used (eg TCP, UDP. Note that typically TCP is used for Internet browsing and UDP used for VoIP). Header checksum - 16 bit 1's compliment value designed to indicate errors in the header only. Every node in the network has to check and re-insert a new checksum as the header changes at every node (TTL value is decremented). Source address - 32 bit value representing the IP address of the sender of the IP packet. Destination address - 32 bit value representing the IP address of the packets final destination. Options - variable bit field representing options. The actual options requested are not optional in that there are well defined options that can be requested, what is optional is whether to request theses options or not. Padding - Variable size bit field. These bits are used to ensure a 32 bit boundary for the header is achieved. Receive FREE, business Internet (data) service quotes by completing the short form below, it takes less than 1 minute to complete. Save TIME with FREE quotes from award winning providers in minutes. Business Internet type you need? Would you like VoIP phone service quotes also to compare? Complete the short and quick form so we know what your needs are. You get multiple, FREE, no obligation, Business Internet price quotes. Compare pricing and pick the one that suits your needs best. What is the History of Broadband?